Distinguished achievement and meritorious public service by television and radio stations, networks, producing organizations, individuals and the World Wide Web. The George Foster Peabody Awards (or simply Peabody Awards) program, named for American businessman and philanthropist George Peabody, recognizes distinguished and meritorious public service by American radio and television stations, networks, online media, producing organizations, and individuals. Reflecting excellence in quality, rather than popularity or commercial success, the Peabody is awarded to about 25–35 winners annually from more than 1,000 entries. Because submissions are accepted from a wide variety of sources and styles, deliberations seek "Excellence On Its Own Terms". Each entry is evaluated on the achievement of standards it establishes within its own contexts. Entries are self-selected by those making submissions, for which a US$350 fee (US$225 for radio) is required. In 1938, the National Association of Broadcasters formed a committee to recognize outstanding achievement in radio broadcasting. Committee member Lambdin Kay, public-service director for WSB radio in Atlanta, Georgia, at the time, is credited for creating the award, named for businessman and philanthropist George Foster Peabody, who donated the funds that made the awards possible. Fellow WSB employee Lessie Smithgall introduced Lambdin to John E. Drewry, of the University of Georgia's Henry W. Grady College of Journalism and Mass Communication, who endorsed the idea. 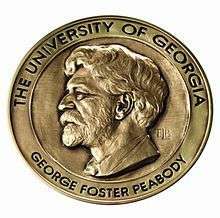 The Peabody Award was established in 1940 with the Grady College of Journalism as its permanent home. The Peabody Awards were originally only for radio, but in 1948 television awards were introduced. In the late 1990s additional categories for material distributed via the World Wide Web were added. Materials created solely for theatrical motion picture release are not eligible. The Peabody Awards judging process is unusually rigorous. Evaluation of the more than 1,000 entries typically received begins in early February with some 30 committees composed of a number of University of Georgia faculty or staff members and selected students. Each committee is charged with screening or listening to a small number of entries and delivering written recommendations to the Peabody Board, a ~17-member panel of scholars, critics and media-industry professionals. Board members discuss recommended entries as well as their own selections at intensive preliminary meetings in Los Angeles and Washington, D.C. The Board convenes at the Peabody Offices on the University of Georgia campus in late March for final screenings and deliberations. Each entrant is judged on its own merit, and only unanimously selected programs receive Peabodys. There is no set number of Peabodys; the all-time record for Peabody recipients in a single year is 46 Awards in 2013. 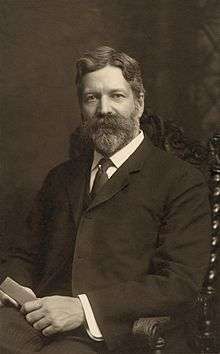 George Foster Peabody (1852–1938), namesake of the awards, was a highly successful investment banker who devoted much of his fortune to education and social enterprise. Lambdin Kay was the awards chairman for The National Association of Broadcasters when he was asked to create a prize to honor the nation's premier radio programs and performances, as the Pulitzer did for the print press. John E. Drewry (1902–1983) was the first dean of the University of Georgia's Henry W. Grady College of Journalism and Mass Communication. He accepted the position of dean when it was created in 1940. That same year he helped Lambdin Kay, general manager of Atlanta's WSB Radio, create the Peabody Awards recognizing excellence in broadcasting. Dr. Worth McDougald (1926–2007) served as Director of the Peabody Awards program from 1963 until his retirement in 1991. Barry Sherman (1952–2000) was the Director of the George Foster Peabody Awards program at the University of Georgia from 1991 until his death in 2000. Horace Newcomb held the Lambdin Kay Chair for the Peabodys in the Grady College of Journalism and Mass Communication at the University of Georgia from 2001 to 2013. Jeffrey P. Jones succeeded Horace Newcomb in July 2013 as the Lambdin Kay Chair for the Peabodys in the Grady College of Journalism and Mass Communication at the University of Georgia. Each spring, Peabody organizers announce award recipients for work covering the previous year. Traditionally, the winners' announcements have been made via a simple press release and/or a press conference. In recent years, however, organizers have also taken to television to reveal some Peabody recipients in an effort to expand the public's awareness of the awards. An April 2014 segment of CBS This Morning included an announcement of 2013 Peabody winners. In April 2015, the 2014 Peabodys were revealed over an 8-day period, with the entertainment-based recipients revealed on ABC's Good Morning America. The formal presentations of the Peabody Awards are traditionally held in late May or early June, and have been usually held at a luncheon in New York City. The ceremony for 2014 recipients will be held for the first time at night in a May 31, 2015 award ceremony to be hosted by Fred Armisen. Several famous names have served as Peabody ceremony hosts over the years, among them Walter Cronkite, Lesley Stahl, Jackie Gleason, Jon Stewart, Morley Safer, Larry King, and Ira Glass. Since 2014, the Peabody ceremonies have aired on a tape-delayed basis by the cable/satellite channel Pivot, who will carry the 74th ceremonies on June 21, 2015. The Peabody Awards Collection is the flagship of The Walter J. Brown Media Archive & Peabody Awards Collection. The archives are housed in the Richard B. Russell Building Special Collections Libraries near the north campus of The University of Georgia. The archives mission is to preserve, protect, and provide access to the moving image and sound materials that reflect the collective memory of broadcasting and the history of the state of Georgia and its people. The collection contains nearly every entry for the first major broadcast award given in the United States. Entries begin in 1940 for radio and 1948 for television, and at least 1,000 new entries are received every year—programs created by local, national, and international producers. The collection provides a cultural cross-section of television from its infancy to the present day, featuring news, documentary, entertainment, educational, and children's programming. Once judging is complete all the entries are moved to the Main Library for in-depth cataloging, access, and long-term preservation. 1 2 Shearer, Lee (2001-03-27). "UGA names new Peabody director". Athens Banner-Herald. Retrieved 2013-04-11. 1 2 3 4 Moore, Frazier (September 26, 2002). "Emmys over? Now let's get acquainted with the Peabodys". The Daily Courier. Google News. Associated Press. Retrieved 2013-04-11. 1 2 3 4 Koehler, Robert (2011-05-21). "Peabody board casts wide net for excellence". Variety. Retrieved 2013-04-11. ↑ Lawhorn, Jenny (2005-04-09). "NPR Wins Peabody Award for Iraq Reporting". NPR. Retrieved 2013-04-11. ↑ "Submit an Entry for Consideration". Peabody Awards official. 2014-10-13. Retrieved 2015-03-16. ↑ "Broadcasters Honor Rusk". The Albany Herald. Google News. Associated Press. 1989-01-19. Retrieved 2013-04-11. 1 2 "60 Minutes Journalist To Deliver UGA's Peabody-Smithgall Lecture". TheStreet.com. PR Newswire. 2011-03-16. Retrieved 2013-04-23. ↑ "Local business icons inducted into hall of fame". AccessNorthGa. 2012-04-13. Retrieved 2013-04-23. 1 2 Cummins, Lance (2004-03-17). "Local student to judge Peabodys". TheCitizen. Retrieved 2013-04-23. ↑ "About the Authors". McGraw-Hill Higher Education. Retrieved 4 September 2012. ↑ "The Peabody Awards". peabodyawards.com. ↑ "Larry King Hosting Peabody Awards". The Huffington Post. Associated Press. 2011-03-07. Retrieved 2013-04-11. ↑ "Special 'The 74th Annual Peabody Awards on Pivot' to Premiere Sunday, June 21 - Ratings - TVbytheNumbers.Zap2it.com". TVbytheNumbers. ↑ "History :: UGA Libraries Walter J. Brown Media Archives & Peabody Awards Collection". uga.edu.